NewsKorea expects slower export growth in Feb.
Korea expects slower export growth in Feb.
South Korea will take proactive measures to boost exports to keep the growth momentum going despite rising protectionist policies by major trading partners and fewer working days in February, the trade ministry said Tuesday. The Ministry of Trade, Industry and Energy expected the export growth will slow this month due to fewer working days from the Lunar New Year holiday, which falls later in the week, coupled with rising import restrictions by major economies. 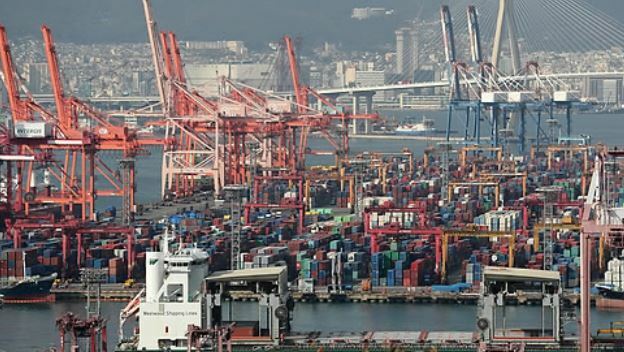 South Korea’s exports fell 1.8 percent on-year during the first 10 days of February due to fewer working days, according to the data from the Korea Customs Service. The ministry said it will spend 60 percent of the marketing budget for exports of 155.9 billion won ($143.8 million) in the first half of this year and explore ways to boost economic ties with emerging economies in Southeast Asia to diversify overseas markets. The country’s exports have been expanding since November 2016 thanks to brisk sales of memory chips and petrochemical products, but the government has been pushing to foster new growth drivers to protect the export-driven economy from potential downside risks. Local companies have expressed concerns over rising trade barriers after the US slapped a set of safeguard tariffs against foreign-made, large residential washing machines and solar panels, including those from South Korea.